Most people think and want a gym buddy to go to gym. 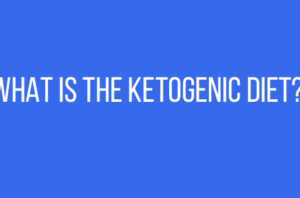 In this post we will discuss the Best And Simple Ways To Find A Fitness Buddy. We list all the Best And Simple Ways To Find A Fitness Buddy for you and you promise to be consistent in your workout. It’s REALLY hard to find a good gym partner. Well it turns out that its not that hard and you can dramatically increase your chances of finding a good gym partner. And if you are like me, to whom it is OK to not have a workout partner and is not on a hunt to find a workout partner in his area. (you still have to read this post). In this post I’m gonna list Best And Simple Ways To Find A Fitness Buddy. It is not the case that you will only workout if you have a workout partner,but there are other benefits of a workout buddy as well. So, what are we waiting for. Lets find a workout partner. I’ve got a good news and a bad news. There is no one who can be your permanent gym partner forever. And the GOOD news is, that you can make anyone to be your gym partner. My point is that don’t be like those persons who paid for the gym after the confirmation from a gym partner but are not going to the gym because their gym partners are stuck or are busy or have another plans. REALLY ?? You really need some MOTIVATION. All set, you started your day checking your news feed on Facebook as soon as you woke up. Any plans today to give yourself a good one hour of physical fitness ? If your answer was YES , Post on your wall that you are looking for a gym partner mentioning your timings. Not all your friends are available on the same time as you are. Have a look at your contacts, you have so much of them. List all the friends living near you, plan a gym session and decide for a gym which is near to you and your gym partner. Try this method for couple of days , I am sure there would be at-least one of your friend who will say YES. As the name suggests, Bizzybutfit motto is to be BE BUSY BUT FIT. 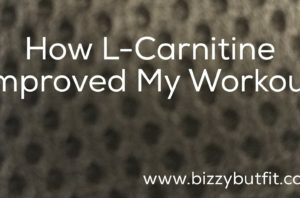 Sign up on bizzybutfit.com for FREE, set up your profile. It is an advantage if you find a person to be your workout partner who has the same mindset like you. It helps in making the gym buddy relationship more stronger and keeps you all charged up in and out of the gym. Not everyone is happy to go to gym and spent an hour lifting weights. Start your binding by running together for couple of weeks, then discuss the benefits of lifting weights with your running partner. 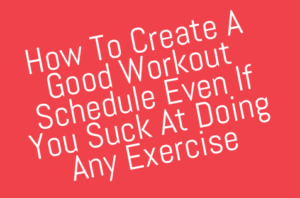 Then you can mutually discuss and plan your workout schedule to go for a jog/run every alternate day and including weighted exercise also thrice a week. You hired a trainer , congratulations for getting a bit more serious for your health. Ask your trainer to introduce you to any of the members who have the same strength as you. Who better than a personal trainer to decide because he has seen your workout in the gym. And he is already aware about your strength and stamina and also your style of workout. It would be easy for him to find a gym partner for you. This post is really going smooth. 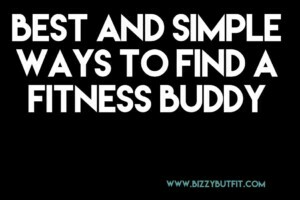 You would agree that these are Best And Simple Ways To Find A Fitness Buddy. JUST ASK , ITS NOT SCARY AT ALL . Or is it , it is not !! There is a very popular saying . It does not mean you would just go and approach any random guy or a girl in gym to be your gym partner. If you are a boy and like any girl in the gym ( try not to focus on that girl rather concentrate on your workout). Remember, you are not there for a whole day, BUT BUT BUT . If you really want that girl to be your gym partner then there is no harm to approach a girl . If she is impressed by your workout or your physique then it will be your lucky day. BUT, if she says no then for god sake just don’t stop going to that gym. Just a small HI and BYE to that girl would increase your chances to be her gym partner. and if you want a boy to be your gym buddy, you just have to ask him and you are good to go. After all this post is about Best And Simple Ways To Find A Fitness Buddy. With all ifs and buts about finding a good gym partner mentioned above, I read a forum on Bodybuilding.com . Majority of the people prefer to go to gym alone. But that is a personal choice, there are few who prefer 2 gym buddies. Share this post with your friends on Facebook,Twitter,Google+. Until next time , Be BUSY BUT FIT. Bizzybutfit.